Zach Wamp currently serves as the Co-Chair to Issue One’s ReFormers Caucus. Prior to joining the Caucus, the Chattanooga native and ardent conservative served in Congress, representing the 3rd Congressional District of the great state of Tennessee. 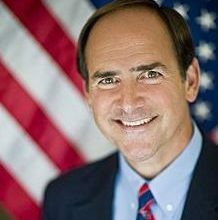 Wamp served in the House for more than 15 years and was a senior member on the House Appropriations Committee as well as Ranking Member of the Subcommittee on Military Construction and Veterans Affairs. In his current position as Co-Chair of the ReFormers Caucus, Wamp helps direct the Caucus’s strategy, serves as a liaison to Capitol Hill and helps make the case for why fixing the broken democratic process is the critical issue of our time.